A new Mini 5-Pin Male to Micro B Female Cable Adapter. 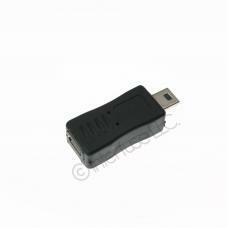 The adapter can be used to convert most USB 2.0 cables. Item ships out the same or next business day including most Saturdays.